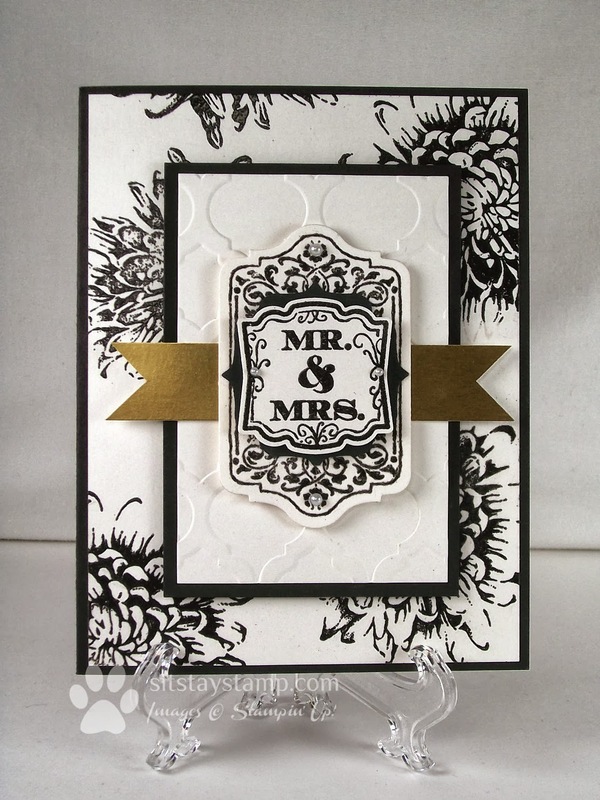 Sit Stay Stamp: My First Wedding Card! What an absolutely stunning card! The black and white is so elegant, and I love those shapes layered together! The wedding card is so elegant. I love the black and the gold. Thanks, Tina! I appreciate the comment. Well, for a first wedding card, I think you have it down pat! This is gorgeous. 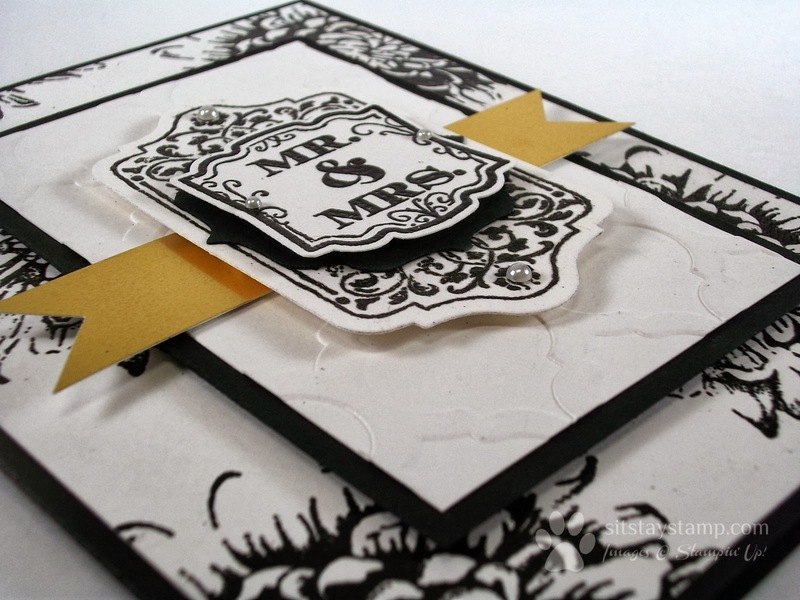 Elegant and has lots of layers to make it an extra special card for an extra special event.